Studio Roberto Rovira is among 2 of the 18 winners of the 2015 Public Space Challenge Grant sponsored by the Miami Foundation. The competition this year received nearly 400 submissions. 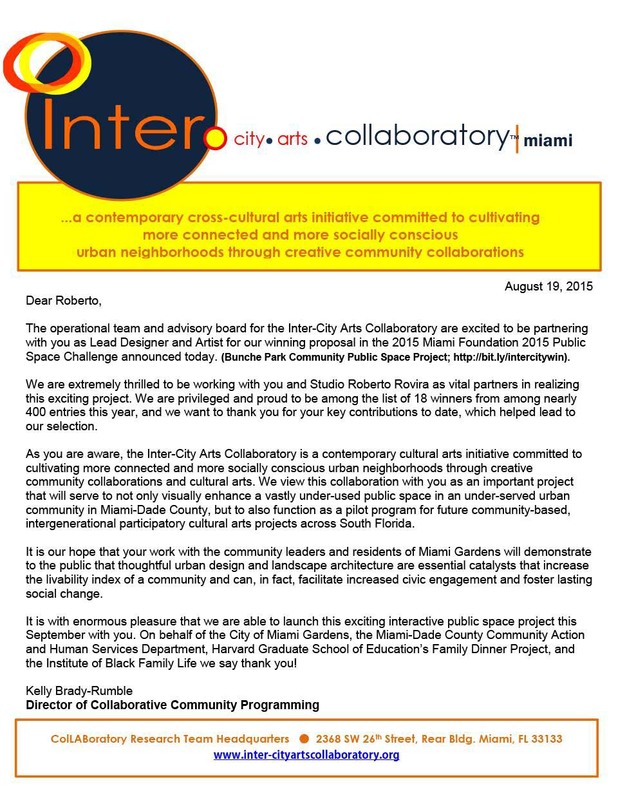 Roberto Rovira will be working as lead designer in collaboration with the Intercity Arts Collaboratory for the Bunche Park Community project to transform of the unused outdoor area of the Community Center into a hub for cutting-edge outreach projects and activities. 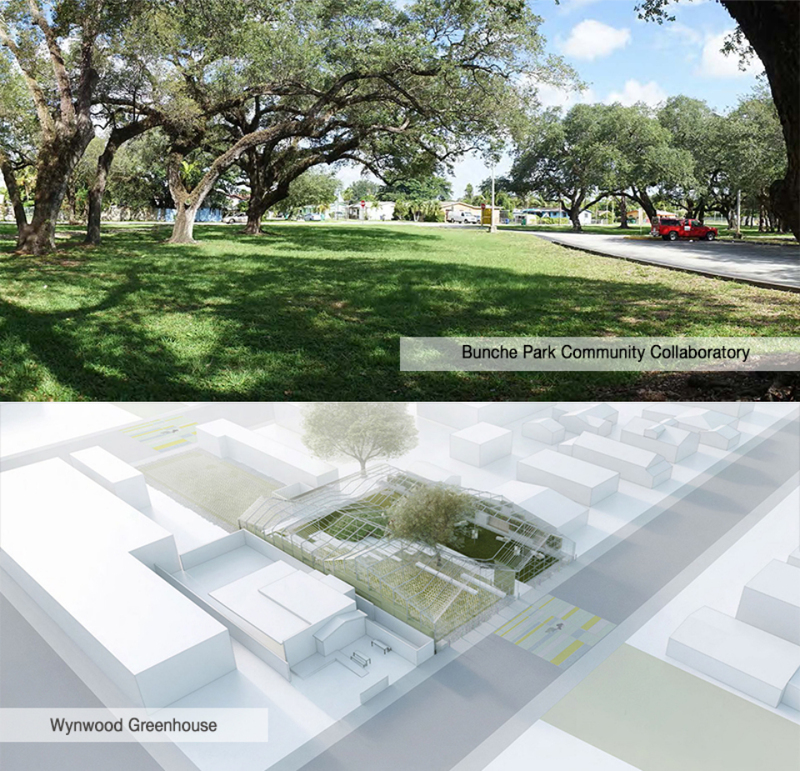 Additionally, among the Open Space Challenge Grant winners this year is the Wynwood Greenhouse by Metro1 Community, by architect Nick Gelpi, artist Jim Drain, and landscape architect Roberto Rovira. The grant money will allow for solar panels to be installed on the roof of the soon-to-be-built Wynwood Greenhouse park. Congratulations to all the winners this year! We’re honored to be among such worthy projects. See all 18 winners here.